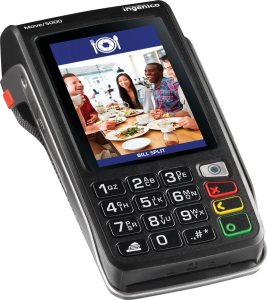 The iSC Touch 480 features an extra-large 7″ multimedia touchscreen, handles all payment options (including EMV Chip & Pin, Chip & Sign, MagStripe, Signature Capture, and Contactless), and is PCI-PTS 4.x compliant. Designed for retailers, the glass display is impact & scratch resistant with a lifespan of one million signatures. Connects via USB, Ethernet, RS232 & Tailgate, WiFi, Bluetooth, and GPRS. 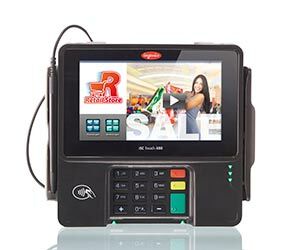 The iSC Touch 250 Retail combines signature capture and touchscreen technologies in a robust, compact design that is PCI-PTS 4.x compliant. 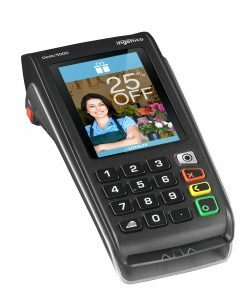 Capable of showing ads, videos, coupons, and much more on a colorful high-resolution touchscreen that engages with the customer throughout the payment process. Designed for multilane retail checkout, sales kiosks, and self-service environments. The Lane/5000 combines universal payment acceptance and third-party apps with a compact footprint to reinvent consumer experiences in a multilane environment. Ingenico’s Desk/5000 meets the most demanding use cases, turning the point of sale into a point of service capable of running interactive business apps on its large 3.5-inch touchscreen. 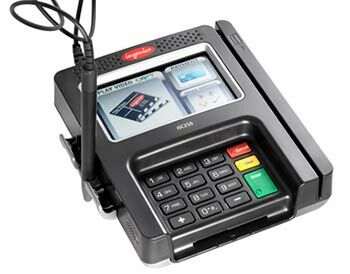 Wireless version of the Desk/5000 turns the point of sale into a mobile point of service capable of running interactive business apps on its large 3.5-inch touchscreen. 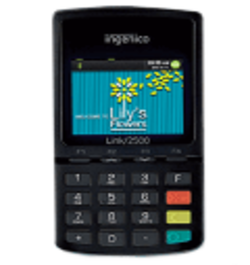 The Link/2500 has a pocket-sized, lightweight and slim design capable of handling the most demanding use, wherever merchants accept payments. Capable of accepting all payment methods, including NFC/Contactless, Apple Pay and Samsung Pay. 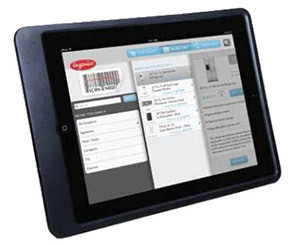 Ingenico’s Smart Mobile Tablet (iSMT) for iPad links your POS with advanced tablet technology. This accessory to the iSMP device makes it easy to display product options, fulfill orders online or in-store, capture signatures and close the sale on the spot. It is designed for comfortable handling and has an adjustable handle for portability, allowing for line-busting and freeing associates to engage customers anywhere in the store. The iSMT not only accepts payments but also enables authorizations, contracts, warranties and more. 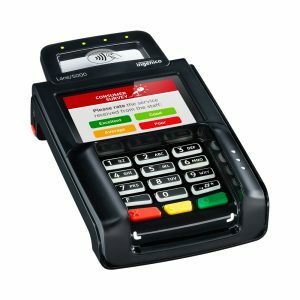 A convenient and reliable pin pad that provides secure transactions, extensive communication technologies, and a plug-and-play installation. 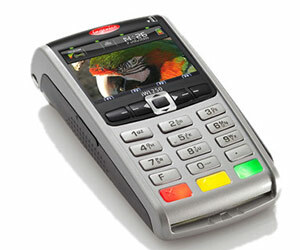 Designed for a retail environment and equipped with an anti-theft system. 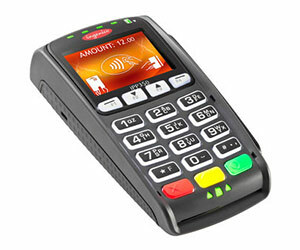 Both the iPP320 and diPP350 plug directly into the cash register for easy integration into existing POS systems. Takes up minimal countertop space and features a crisp LCD display. 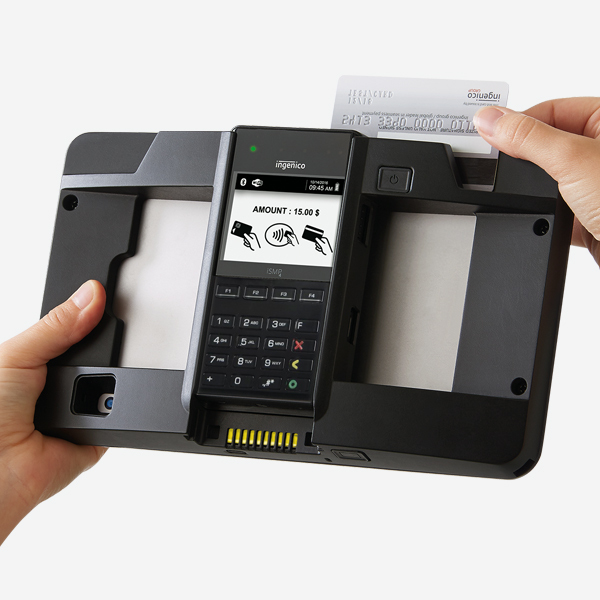 Tough, reliable stands created specifically for Ingenico products keep your POS technologies secure from product tampering and skimming schemes. 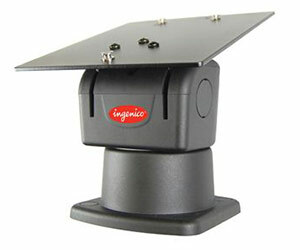 Protect your customers’ data and your brand integrity by investing in these heavy-duty, tamper-proof stands.